It is very seldom that we get good weather in Ireland. As a result, us Dubliners wouldn’t be known to dine outdoors very often and the majority of our eateries don’t cater those who prefer al fresco. 1. Herbstreet, Grand Canal Dock. Herbstreet is one of those lovely little restaurants that I normally only frequent for breakfast/brunch. Often when I’m there, I spot a few poor souls settling for seats outside in minus degree weather because the place is so popular and the food really is that good. Now that the weather is good, I imagine a very different scene entirely; perched facing the waterfront at Grand Canal Dock, Herbstreet is the perfect spot for a pasta primavera and a glass of white wine. Check out there dinner menu here. 2. Marco Pierre White, Donnybrook. Following the success of the Marco Pierre White Steakhouse & Grill on Dawson Street, the celebrity chef opened another carnivorous eatery situated within the leafy suburbs of Donnybrook in late-2013. As you would expect, the menu at the Courtyard Bar and Grill features a variety of different steaks ranging from €26 – €34, but it also does a great early bird too (1 Course €15.95, 2 Courses €21.95 and 3 Courses €26.95). The Taphouse in Ranelagh (formerly Russell’s) is one of very few pubs in Dublin that boasts a sizable rooftop beer garden overlooking one of the city’s most popular villages. Come to think of it, there is no other pub like it. The rooftop area is the perfect suntrap for dining al fresco in Dublin and the menu is delicious and great value too. 4. Chez Max, Baggot Street. Being brutally honest, there’s nothing striking about Chez Max when you walk past the exterior of the building on Dublin’s Baggot Street. What happens when you step inside, however, is a different scene entirely. Dimmed lighting, archways, and exposed brick transport you to somewhere Mediterranean and rustic; making it easy to forget that you’re in Dublin 2. At the back of the restaurant is a small outdoor courtyard with stairs leading up to a bigger outdoor area (with a small bar tucked away in the corner too). Surrounded by plants and patio heaters, this place has a secret garden feel to it – making it one of my favourite places to eat outdoors in Dublin. Check out their menu here. 5. Osteria Lucio, Grand Canal. In the former location of what used to be Pizza e Porchetta, nestled underneath the arches at the Malting Tower on Grand Canal Dock is Osteria Lucio, a new & revamped Italian eatery from Michelin Chef Ross Lewis of Chapter One. Every time I’ve walked by Osteria Lucio, the terrace at the front is filled with people sipping wine and eating charcuterie. Another thing that makes this place particularly appealing is the fact that it is tucked away from the hustle and bustle of the city centre; so you can enjoy your meal in a much more peaceful setting. Check out their menu here. 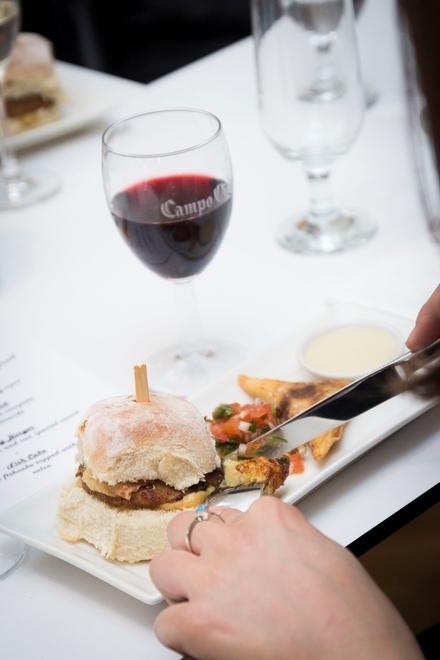 This June sees the return of the hugely popular Campo Viejo Tapas Trail take to the streets of Dublin from the 3rd – 28th. For just €30 per person, you’ll get to sample a variety of Spanish culinary delights on offer in our capital city, as well as a few complimentary glasses of Campo Viego along the way. The four participating restaurants this year are: Bagots Hutton, Drury Buildings, Salamanca, and Zaragoza. Having been on the tour myself last year, I cannot begin to emphasise what great value it really is. As we arrived to each of the four restaurants, we were greeted with a sample dish from their menu alongside a glass of Campo Viejo. The first three restaurants served savory tapas (ranging from Irish cheeses and cured meats to patatas bravas and manchego chicken) and the final restaurant served us a dessert tapas instead. In each restaurant we received a glass of Campo Viejo, which was the perfect accompaniment to each of the dishes we were served. As we made our way from restaurant to restaurant, our personal tour guide took a few moments to stop on the street along the way and tell us a bit about Spanish culture in Dublin. He was informative, engaging and good humored: definitely playing a pivotal role in the overall enjoyment of the evening. 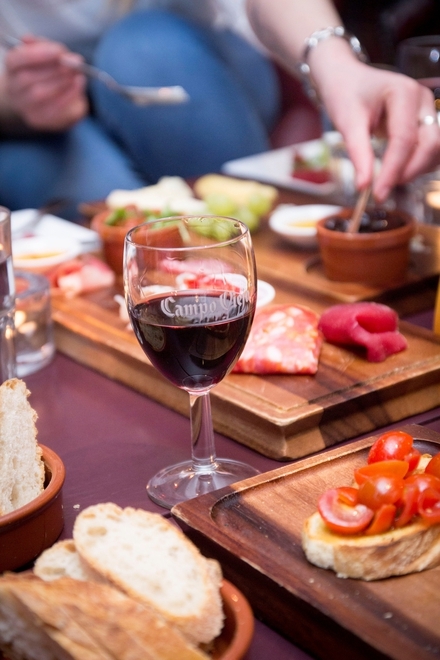 The Campo Viejo Tapas Trail truly is a great way to experience Spanish culture in some of Dublin city’s best restaurants and I cannot recommend it more highly. Tickets sell out fast, so make sure to keep an eye on the Facebook page and check the site for ticket releases here. After a hugely successful launch last year, SUMMER RISING returns to IMMA this June for 10 days starting on the 4th. The festival celebrates summer with a series of art, music, performance and food events designed to showcase the beautiful buildings and grounds of IMMA, day and night. The full programme will be announced in mid-May, so make sure to keep an eye on Facebook or sign-up to IMMA’s mailing list here. Dublin 1 has long been at the heart of culture in our capital city. The D1 arts community have come together to make the rest of Dublin aware of the great stuff Dublin 1 has to offer. Take an Argentine tango lesson, learn about Georgian architecture, get re-acquainted with Joyce or learn how to write a novel. For Spring Awakening, the surroundings and activities are yours to explore and enjoy. Late entry (8pm) to the Hillsboro Fine Art Gallery. There’s a bunch of other stuff happening too, so be sure to check out culturedublinone.com for more information. 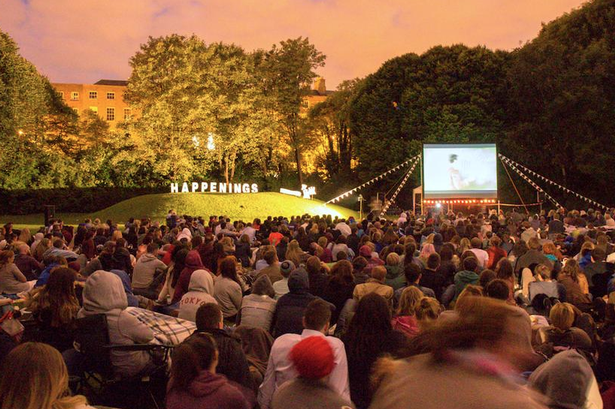 Happenings returns to Dublin for the first time this year on May 1st with an outdoor showing of the 1993 hit movie, Groundhog Day. Taking place within the grounds of Leinster Cricket Club in Rathmines, entry to the flick is only €5 (which can be paid for at the gate). A range of delicious food and drinks will be on sale at the event too, so all you need to remember to bring are picnic chairs and blankets. Gates open at 7pm but the film will start just after 9pm (when it gets dark). Sign up for the latest email alerts from Happenings here, or check out their twitter page to be notified of future events taking place this summer. Indiependence returns to Mitchelstown for its 10th year this year on the August Bank Holiday weekend July 31st – August 2nd and they’ve announced their big lineup for the festival. Here’s a list of some of my favourite haunts to go for grub. More importantly, these places offer unbeatable value for money on certain days of the week and are well worth a visit. 1. Meaty Monday @ Bagots Hutton Wine Emporium. Monday nights are a carnivorous dream in Bagots Hutton where you can get a free board of cured meats with every purchase of a bottle of wine. Mmmm. 2. Margarita Monday @ 777. Margaritas? On a Monday? 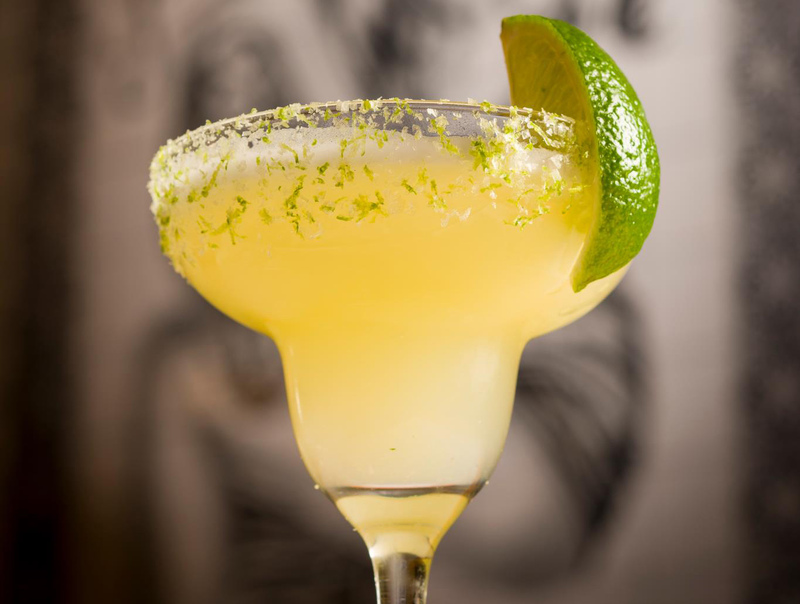 Why not when they’re an incredible 2 for €12 at one of the best Mexican restaurants in town… My favourite is the Lobo Verde; a spicy twist on the standard margarita with jalapenos. Delicioso! 3. Cheesy Tuesday @ Bagots Hutton Wine Emporium. Every Tuesday Bagots Hutton give away a free Sheridan’s Cheeseboard with every purchase of a bottle of wine. Yes please. 4. Hot Ribs Special @ 777. For a mere €40, this deal gets you x2 Margaritas, x4 Tacos, x2 Corn on the Cobs AND a huge plate of Ribs with Mexican Slaw. 5. Pizza and a Pint @ The Bernard Shaw. 6. Super Nacho Happy Hour @ Taco Taco. 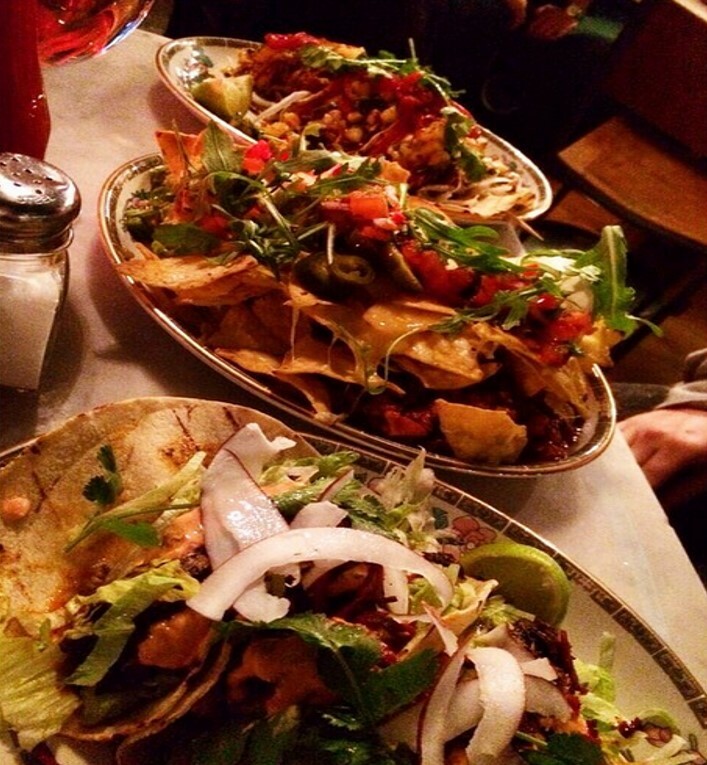 From the people that brought you #BrunchOfChampions, Taco Taco is Dublin’s newest Mexican eatery offering loads of great deals on different days of the week. The winner for me though are Taco Taco’s Super Nachos (with BBQ chilli beef, avocado & tomato salsa, melted mature cheddar, jalapeños & sour cream) for just €8.95 everyday from 5pm – 6.30pm. Normally priced at €14.95, this deal saves you enough for a pint to devour alongside it too. Set in the cultural quarter of Temple Bar, The Meeting House is the latest addition to the Dublin foodie scene. Every single thing on their food menu is just €9.99; mains are priced at €9.99 each and desserts and sides are priced at €9.99 for two. Alternatively, you can get any 4 dishes for €35 or 6 for €49, which is excellent value for the quality of food on offer. Check out their full menu here.